This pool house is a one-of-a-kind, masterful playground for adults and children. 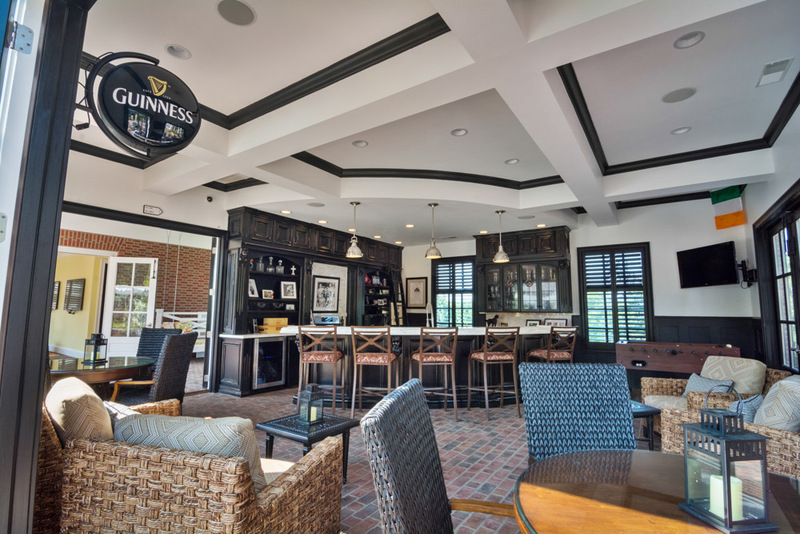 The bar resembles an upscale Irish pub, complete with white marble bar, black wooden cabinetry and furniture for enjoying a pint of Guinness while watching the game. 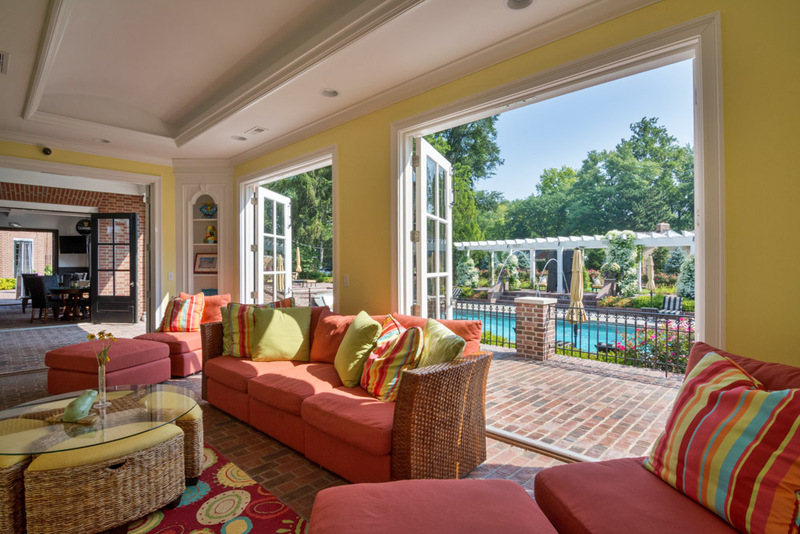 For a more relaxing afternoon, why not enjoy the twin size swing outside or the dual-screen gaming/reading room. This pool house is a one of a kind playground for adults and children. 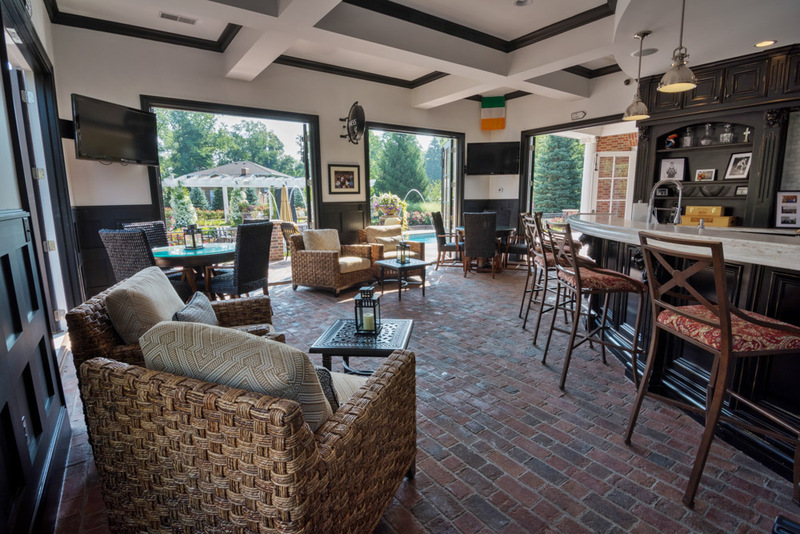 The large pub area features Visual Comfort pendants, woven outdoor furniture from Braxton Culler and beautiful Schumacher outdoor fabrics. 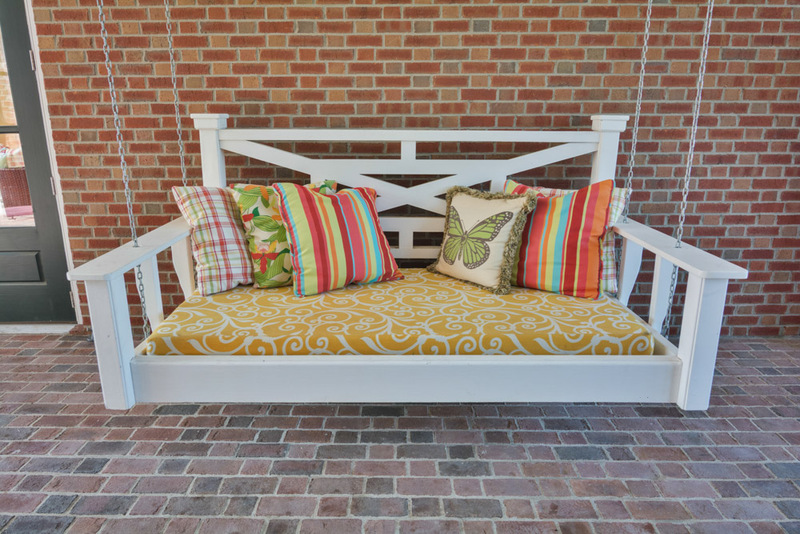 Between outdoor rooms hangs a custom queen size sleeper swing in colorful outdoor fabrics. 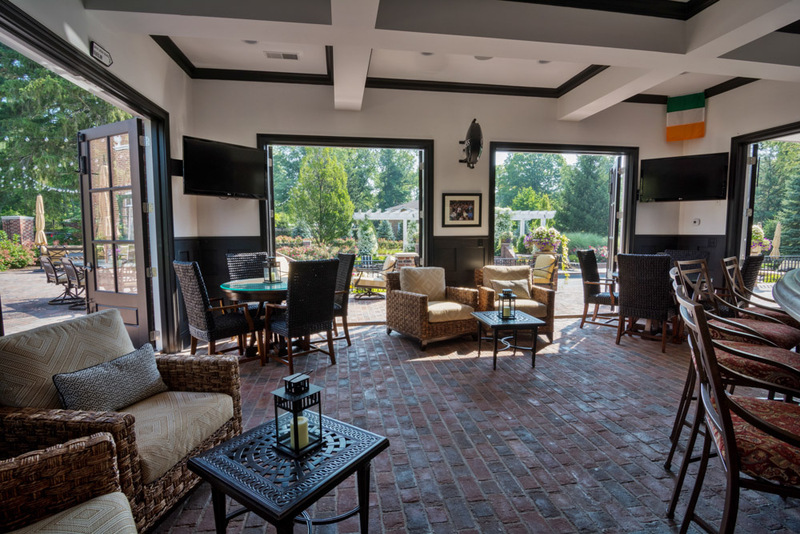 The TV and game room houses a comfortable coral sectional and outdoor area rug, perfect for young entertainment.